Spring Fling Shop Around 2019!!! 2 days of shopping and 28 wonderful shops to see! Shop 'till you drop! Drawing for a door prize at each venue! 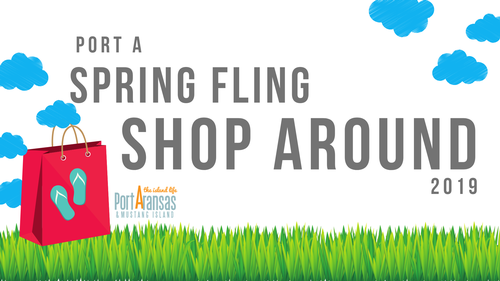 April 6, Saturday, from 10 a.m.- 5 p.m.
Maps will be available at the Port Aransas Chamber of Commerce and at each participating venue.